By joining Seoul Mama’s Family, you can create a recurring “facial-at-home” that is regularly delivered to your door! Choose frequency of shipments: Either monthly, bi-monthly or quarterly. One extra mask to you! We will ship in your next scheduled delivery. And on for a friend! Give one mask to a friend to enjoy a “facial” at home. No hidden fees or commitments, you can cancel anytime. You can adjust how often you want to receive masks. This is a great reminder to take care of yourself and enjoy at home spa! 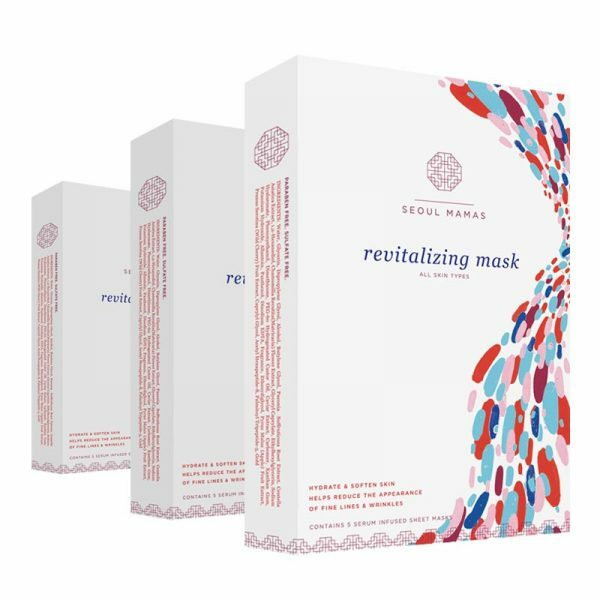 I had the privilege of trying the seoulmamas caviar mask recently! I am super impressed with this product ! I have tried other facial masks over the years (some very expensive and some not) and I must say this mask delivers like a professional facial treatment! I saved it for the eve of an event my husband and I were attending and I usually do a professional facial or some treatment before we go out! It was very hydrating and made my skin luminous and actually a little tighter ! I had several people ask me about my skin that night … I’m sold on this product and will recommend this to my fashion styling clients and friends ! Not so great at facial care??? This is the easiest solution I’ve ever found! Make your face look and feel fantastic without having to work at it. Put on the mask and then sit back and relax letting the mask do all the work. I love this option! This is something a facial care novice can truly master!